After one of the most extended winters in recent memory, we are finally beginning to see some warm days and our bees are responding robustly. Many of us are rebuilding after heavy winter losses. The first group of packages have arrived. This is one of the most exciting times of the year for beekeepers. Our May meeting will be a special event members will not want to miss. While previous meeting topics this year have focused on colony management, the subject of this meeting will cover a specialized discipline in beekeeping: removing colonies of honey bees from structures and cavities where they have become nuisances. Please join us on Thursday 10th May 2018 at the Montgomery County Health and Human Services Building at 210 Pepper St., Christiansburg to hear this presentation. Spring is a time for yard sales. Imagine a yard sale tailored for beekeepers. Our May meeting will feature just such an event. Upon his death, our treasurer Jack Price donated all of his beekeeping equipment to the NRVBA. Some of the equipment will be retained for our apiary and some for our meeting raffles. 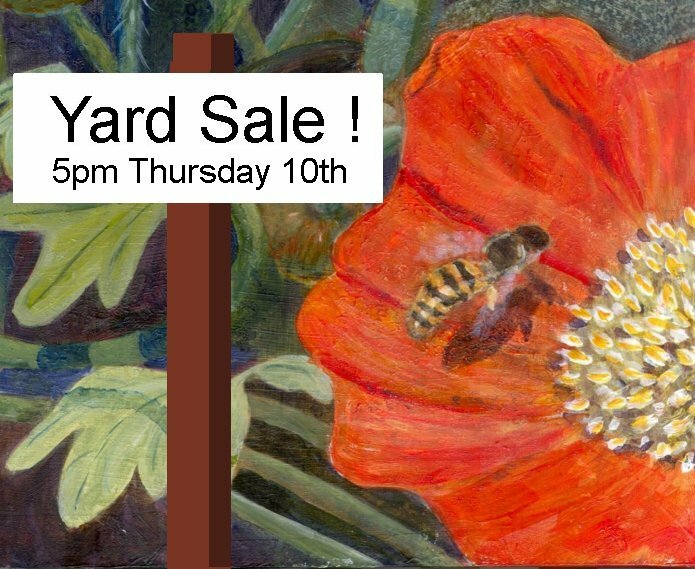 Beginning at 5 PM prior to our May 10th meeting (which will start as usual at 6:30 pm) we will hold a sale of the remainder of his beekeeping supplies at rock bottom prices in the health department parking lot. Among the items will be many frames of drawn comb that should be of particular interest to new beekeepers with packages. A partial list of items will be posted to the Hive prior to the event. Report From Logo Committee: unveiling the new NRVBA logo! Our speaker, Jerry Borger, has extensive experience in this area and is willing to share his methods and stories. It is not everyday that people will invite you to rip open the walls of their homes and thank you for it! After Jerry’s talk, you too may want to join in the fun by partnering with an experienced bee remover. Jerry began beekeeping in 2006. He is a two-year past president of the NRVBA and has managed the Association’s Beginning Beekeeper’s Course for the past eight years. In addition to removing honey bees from buildings, he raises a few nucs and “mini-nucs” to sell each year, and sells products he makes from beeswax.